Whenever I go back and visit my Pennsylvania friends, I just have to stop at Longwood Gardens. 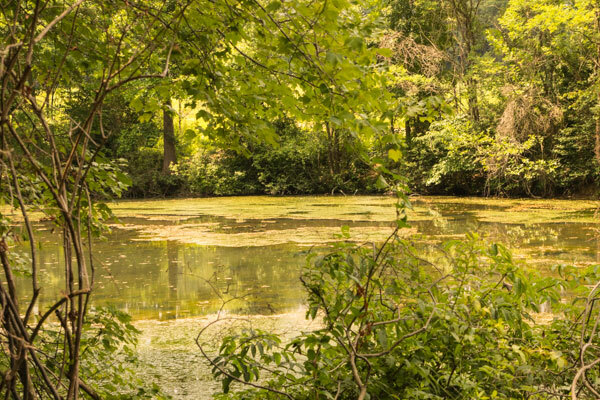 Located in Kennett Square, it’s about an hour from downtown Philadelphia, but believe me it’s well worth the drive. 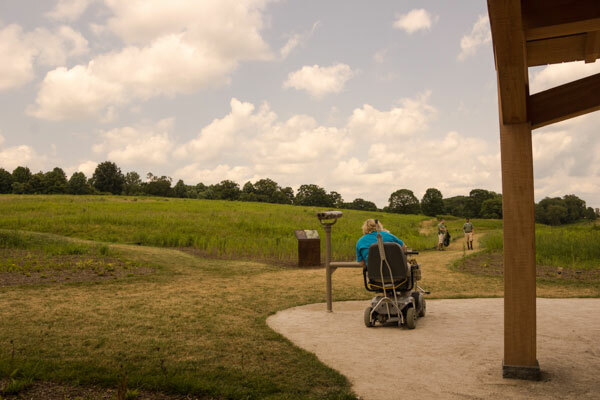 I first discovered Longwood Gardens on a press trip many, many years ago, and I was impressed with their access for wheelchair-users and slow walkers back then. And on my most recent visit, I was equally impressed with the access in their new Meadow Garden. And we had a chance to test the access first-hand, as my friend had knee surgery earlier that week and just couldn’t do distances. So we loaded up her crutches on a rental scooter, and off we went to enjoy the garden. And since my friend is a Longwood Gardens member, the scooter rental was free (there’s a $25 charge to non-members). I have to say that there is no way she could have visited without the scooter, so I’m very glad they were available. We did however check in advance to see if they had rental scooters, and we arrived pretty early to get a better shot at getting one. Another access plus is that there is a drop-off area in front of the gardens. I don’t know if my friend could have made it from the parking lot, so my husband just dropped us off and he went to park the car. It was like having our own personal valet! And then we set off to explore the new Meadow Garden. This area spans 86 acres and features the best practices in ecological garden design. Although it’s probably stunning in the spring when the wildflowers come to life, it was equally impressive on a hot summer day. 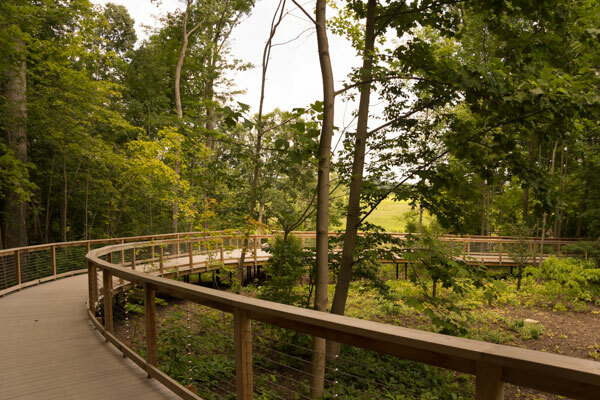 A level boardwalk leads through a wooded area above the meadow, with accessible viewpoints along the way. Once the trail reaches the meadow, there’s a hard packed path that bisects the meadow and leads to Hourglass Lake. Hourglass Lake is a very peaceful place to reflect, and watch the dragonflies land on the blossoms. Across the bridge, there is an accessible viewing scope in front of Hourglass Lake Pavilion. Again, this came in very handy for my friend, as she was able to check out the wildlife in the adjacent meadow. If you do decide to pay Longwood Gardens a visit, be sure and pick up a garden map at the entrance, as the accessible pathways are clearly marked on it. It’s a very handy resource to carry along with you. All in all we had a grand day in a very accessible garden. I can’t wait to go back. This entry was posted in Attractions and tagged day trip, garden, Longwood Gardens, Pennsylvania, philadelphia, travel, Wheelchair Accessible by Candy B. Harrington. Bookmark the permalink.